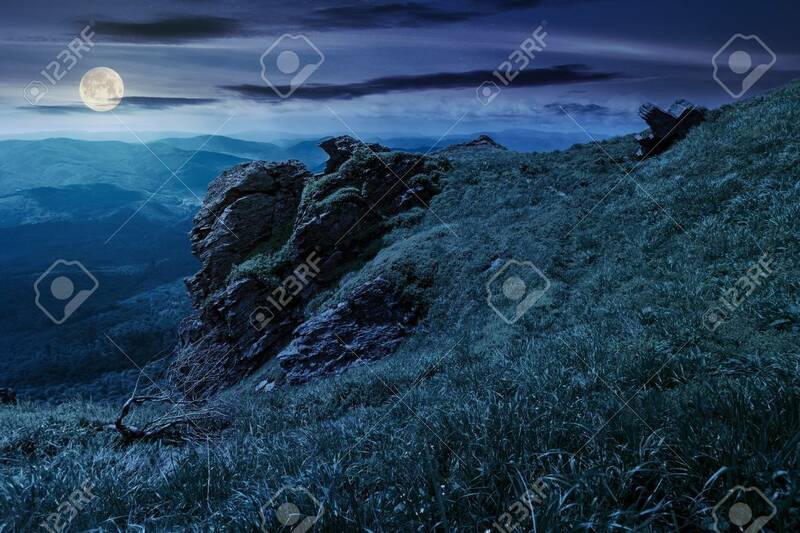 Rocky Formation On A Grassy Hillside At Night. Path Among The.. Stock Photo, Picture And Royalty Free Image. Image 115465521.